Excel Charting ActiveX example with VB code to read cells. 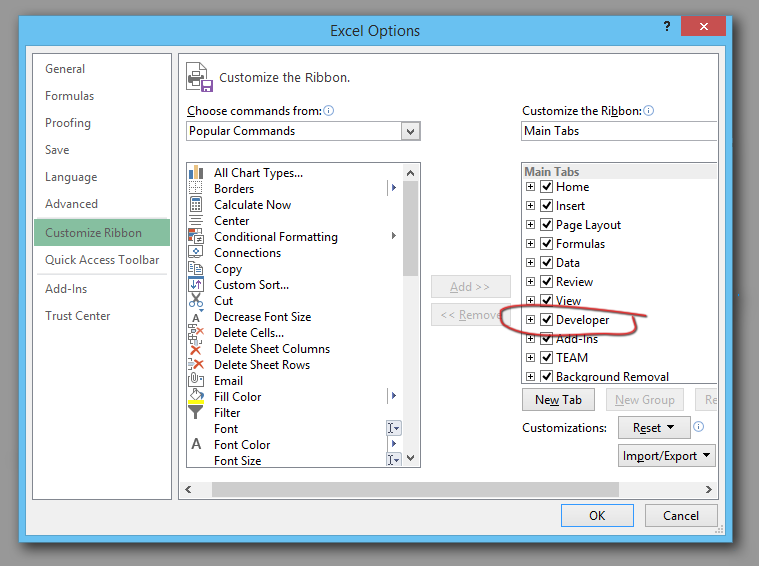 Excel Charting tutorial with basic VBA code to read cells into a chart. 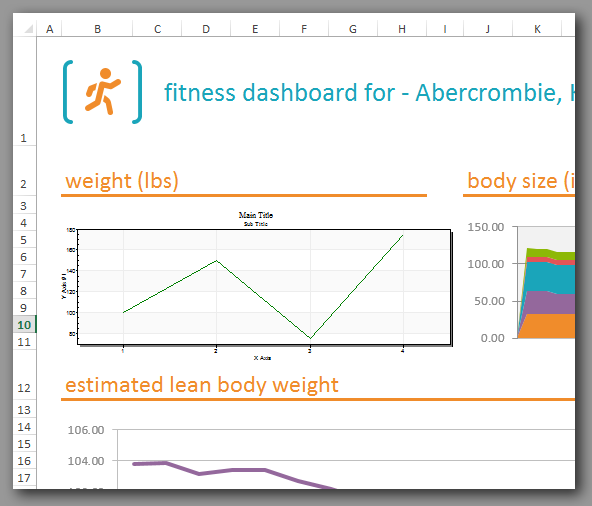 The Charting ActiveX alternative replacement for Microsoft Excel. 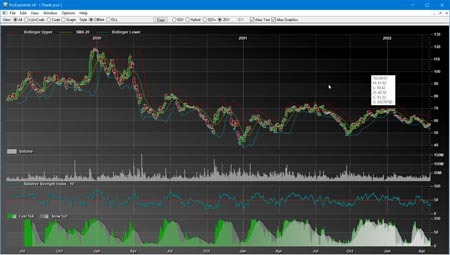 Includes ActiveX Charting native demos. The following information demonstrates how to create your first MS Excel Charting spreadsheet. This page covers installation, adding ProEssentials to a spreadsheet, wiring events and adding a few lines of code. This walkthrough uses 32 bit ActiveXs so this tutorial is for MS Excel 2013 32 bit. When installing ProEssentials, the setup program installs the ProEssentials DLL and ActiveX interfaces into the system directory. The setup program also registers the ActiveXs with the operating system, which prepares MS Excel, Visual Basic for inclusion of ProEssentials components. You can manually register an ActiveX with "REGSVR32.EXE" found in your system32 or syswow64 on 64 bit systems. You can also use this utility to manually un-register an ActiveX by using the "-u" command. 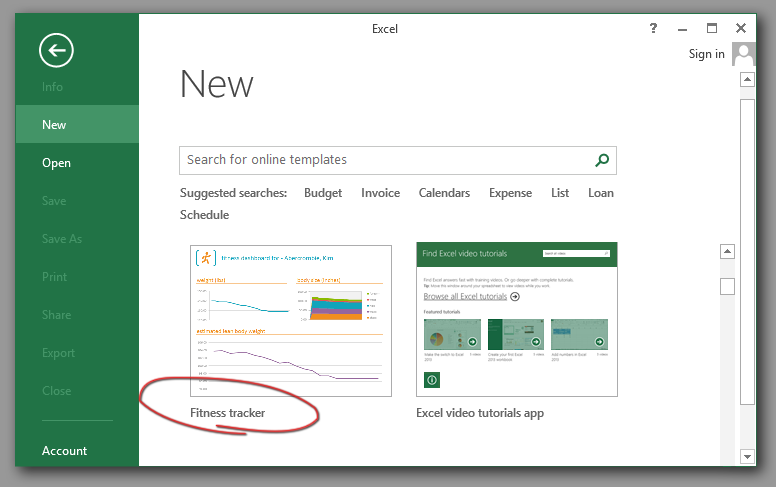 From the New menu, create a new Fitness tracker spreadsheet from list of templates. 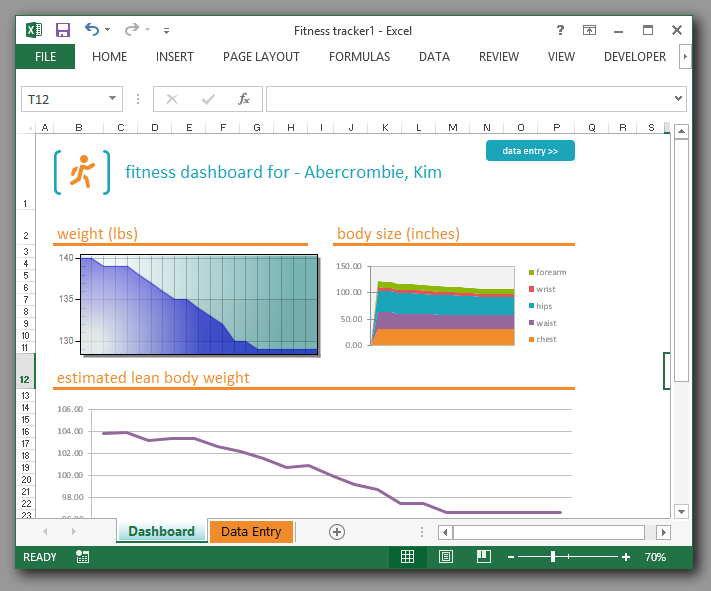 The sheet opens showing the Fitness tracker template. This opens the More Controls dialog showing all ActiveX controls registered on the system. Note both ProEssentials v7 and v9 setup EXEs have been installed as both v7 and v9 are showing within the list of controls. 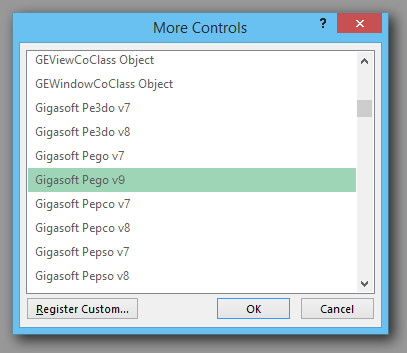 Highlight the Gigasoft Pego v9 control and select OK. This places the control on your sheet. 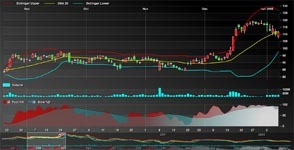 Referring to below image, delete the existing chart and position the ProEssentials chart in place. 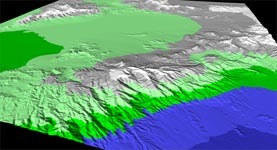 Toggling Design mode off and on will allow chart to redraw itself. Select Developer, and then View Code menu item to show the VB Code Editor. Adjust the list boxes above code window so 'Worksheet' and 'Activate' items are shown. Then add the code below within the Activate event. 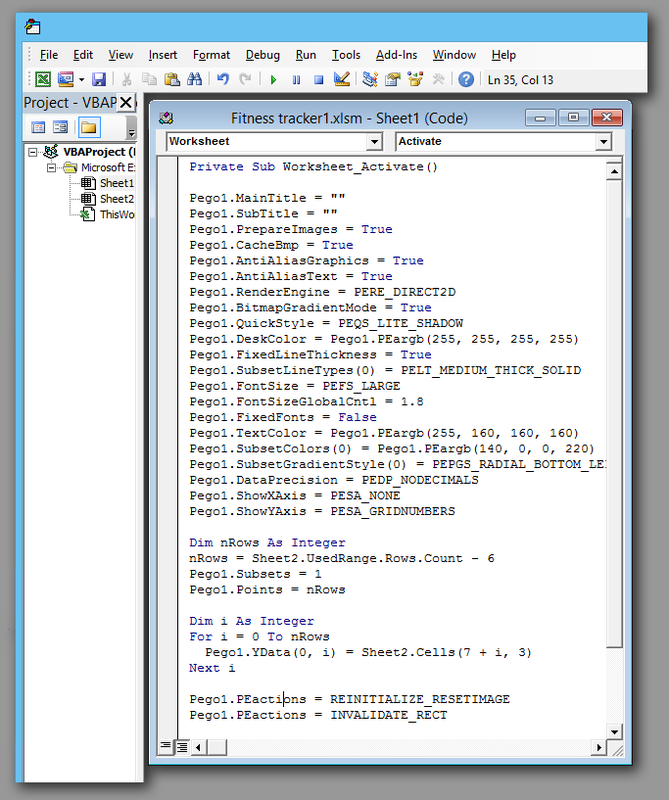 Refer to image below showing the Excel VB code window. to determine the number of rows to chart. Once you become familiar with MS Excel VB code to load cells as needed, there are more advanced features to copy blocks of memory with our PEvset function. 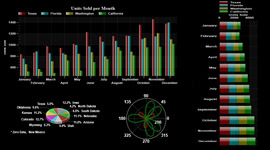 Knowing how to use VB code to read Excel cells into your charts is the most robust method of using ProEssentials. 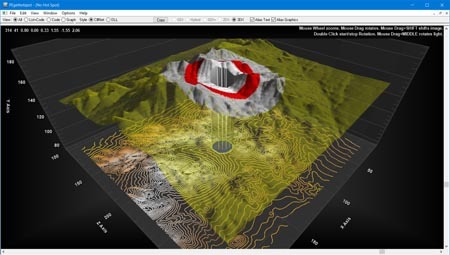 Having the option of sending some cells to a Subset and others to our Annotation features will allow for full creativity with the ProEssentials product.